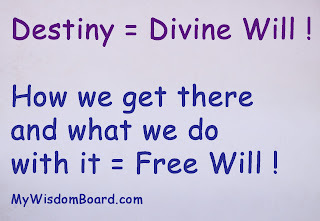 My Wisdom Board Blog : Free Will is our Birthright ! 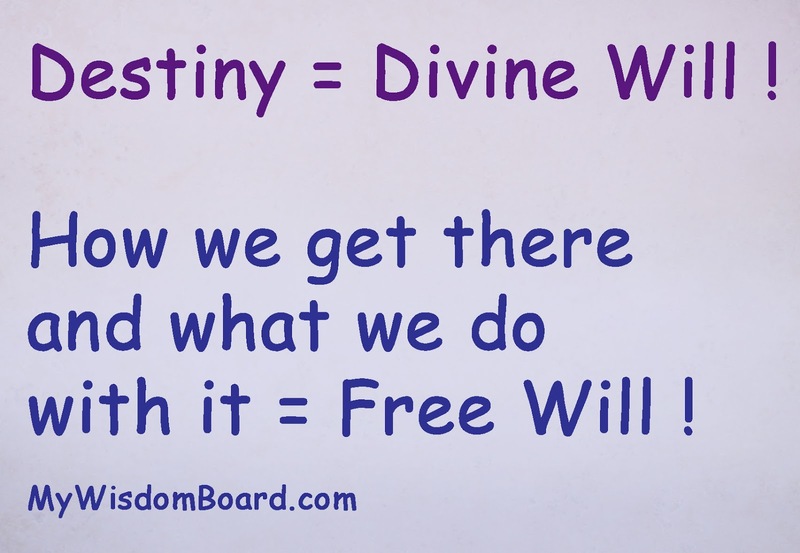 Free Will is our Birthright !
. . . and more often than not, we have more choices than what we acknowledge. The reason why our mind so often insists that we ‘don't have a choice’ is usually because it looks at the choices available and it immediately dismisses the choices available as not being an option. Our mind does this so quickly that it promptly leads us to the conclusion that we have ‘no choice’ other than ‘the one choice’ that we ‘have to’ come to. However, this whole scenario is a victim trap that robs us of our power to move through and eventually past an unpleasant choice that we must make. If we were to look at and acknowledge to ourselves ALL of the available choices in their entirety . . . we would most often recognize and come to the conclusion that we do have a number of different choices available to us . . . but we do not like any of them ! Thus, we decide to choose the one that is the ‘best’ choice of the options that are available. Choosing to make the best choice that is available to me at the time, is something to feel good about; even when it is a choice I do not like and I would rather not have made. Nonetheless: It is what it is . . . and I can choose to either move forward feeling as good as is possible about it . . . or can move forward feeling as victim of it. One will make it easier and quicker for me to move through and eventually past it . . . and one will make it more difficult and more painful. It is my choice ! I always have a choice . . . it is my Birthright.